Would you pay for an app that is just a little better than a free version? It is interesting that when we compare apps, where they are pretty close in features, generally folks will choose the free one and not look back. But, if an app is introduced as free and has extra features unusable, the in-app purchase upgrade option is often chosen. Thus, we are seeing a lot of ‘free’ limited apps hit the iTunes store that let us pay to have more later. Sort of a ‘demo’ time for apps. 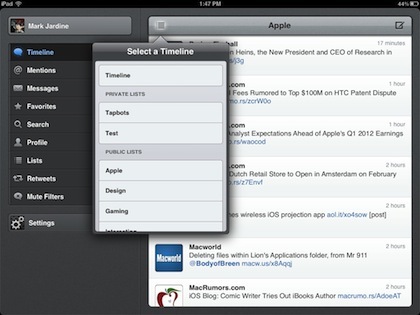 Yesterday there was a lot of excitement about a Twitter app release specifically for the iPad. 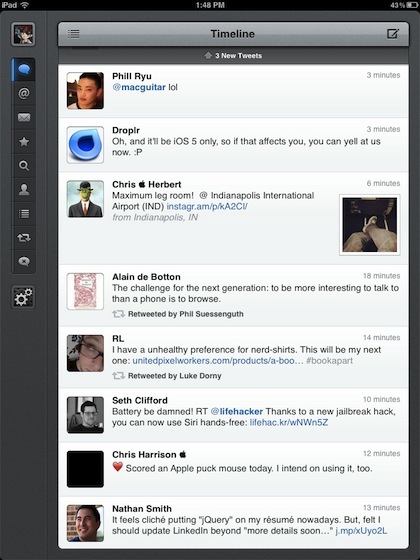 TweetBot is a Twitter app that is just enough different that folks that use Twitter a lot will likely enjoy. Enough to pay a couple dollars when there is a free option? Seems so around the office, but it really depends on the user’s needs. For business users, being able to create draft tweets, then choosing which profile you sent it from. 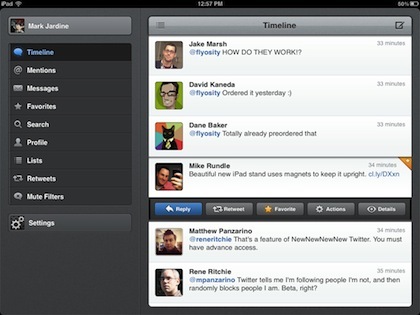 TweetBot might prove pretty handy for companies with multiple accounts on Twitter.